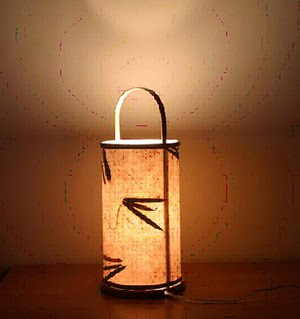 It’s made with bamboo, paper type light shelter and cover with real bamboo leafs. Which taste the total environmental lighting. It provides the Japan countryside hot spring inn feel. And such mild and misty lighting effect allows the user to use it in their study room for heavy thinking. And the graphic designer can use it in their desk for entering the inspiring status. The lighting is not for only the light, it’s also comes for home decor and the emotions generate.